Well into its second triumphant decade, the Blues Caravan is a touring showcase for the hottest young acts signed to Germany's Ruf Records. With past treks helping launch stars including Joanne Shaw Taylor, Laurence Jones and Samantha Fish, the tour is a springboard for the blues scene’s next big things and a magnet for fans who want to catch them before lift-off. 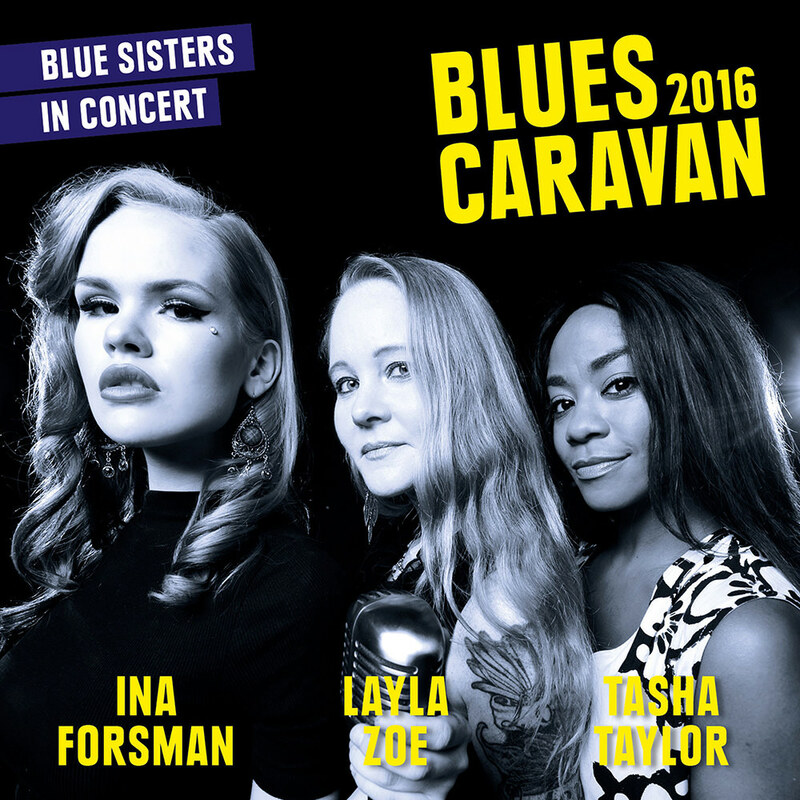 The 2016 edition introduced the Blues Sisters, consisting of Ina Forsman from Finland, award-winning Canadian Layla Zoe and American Tasha Taylor, the youngest daughter of R&B trailblazer and Stax icon Johnnie Taylor.